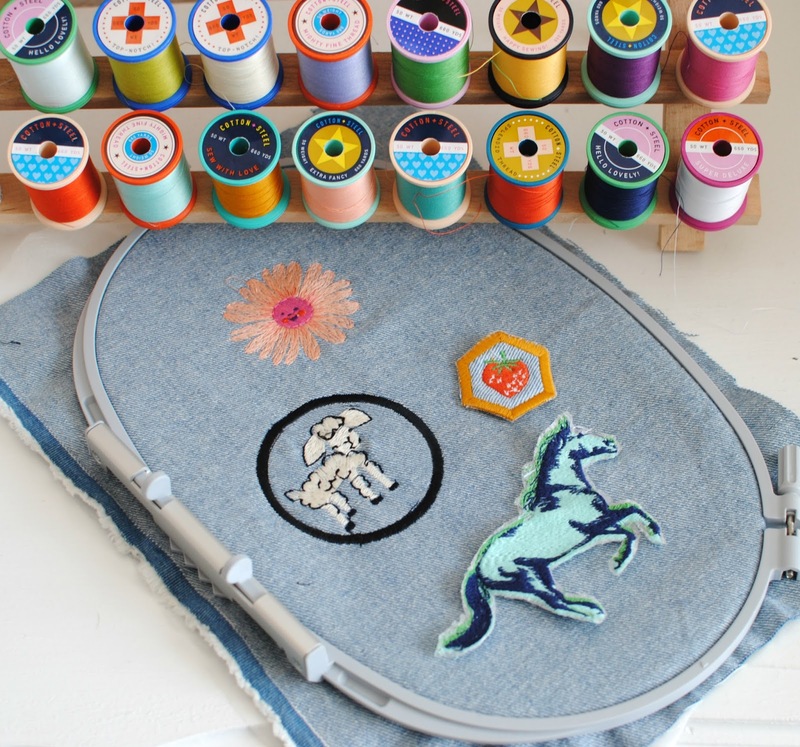 I was excited to see the new thread collaboration: Cotton+Steel Thread by Sulky. The new line of 50 wt. thread is Egyptian Grown, Extra-Long Staple Cotton is twisted, dyed, and, finished in Italy, with the final winding done in Germany. All 100 colors of this fine all-purpose thread were carefully chosen to include essential sewing colors plus a mix of fun, vibrant colors. The story is in the details. 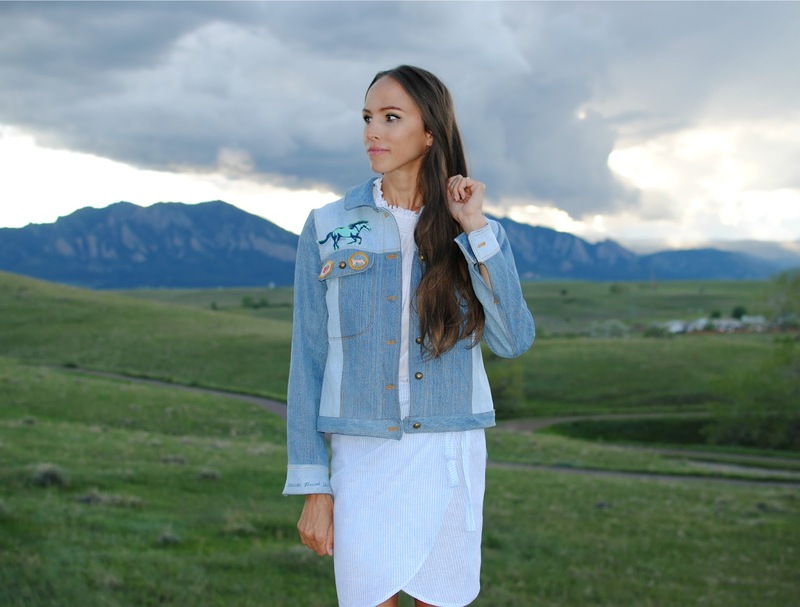 Follow along the manufacturing path of Cotton+Steel Thread by Sulky in this short video as the Sulky team traveled through Europe and learned the steps involved in making this thread. I went with the Cotton + Steel Thread OESD Embroidery Collection. 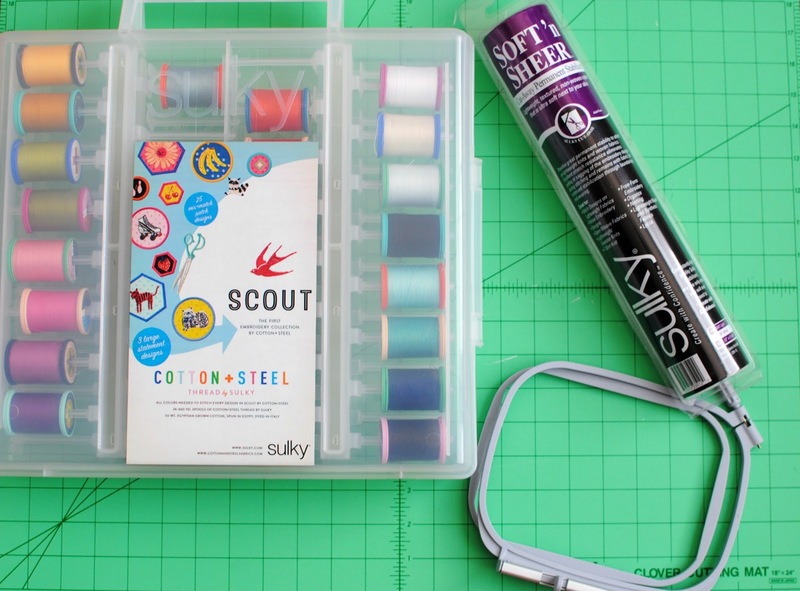 In this new Cotton+Steel Thread by Sulky Slimline contains all the colors needed to stitch every design in Scout by Cotton+Steel. 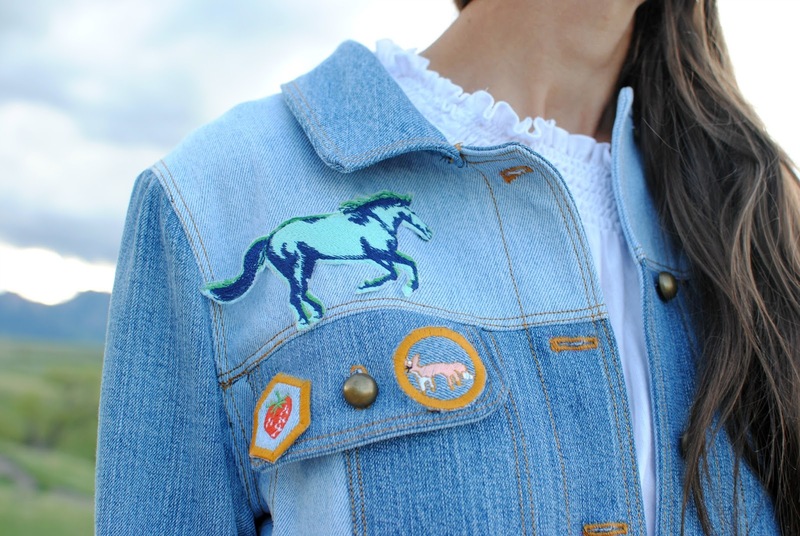 Consisting of 25 mix-and-match patch designs, Scout is the first ever embroidery collection by Cotton+Steel. 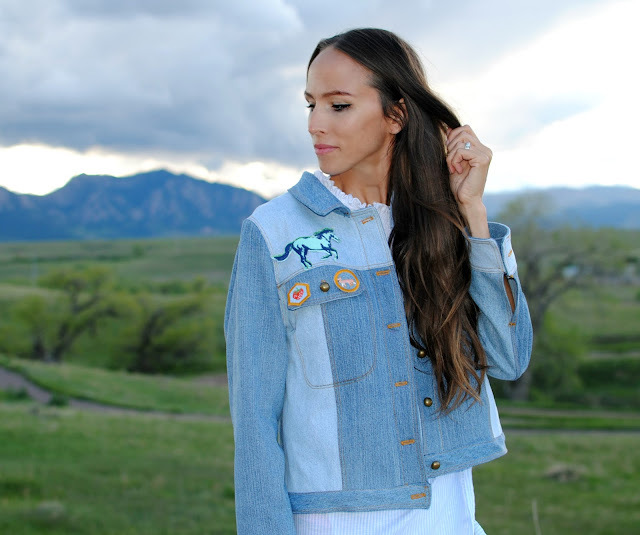 The cute patches and little details were the perfect addition to my denim jacket made from my kids’ upcycled jeans in my last post, here. 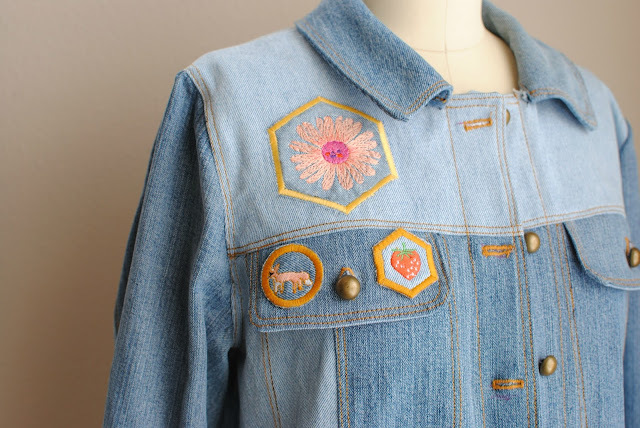 The OESD Embroidery collection, "Scout" features darling little animals, geometric patch outlines, fruit, and other fun designs. 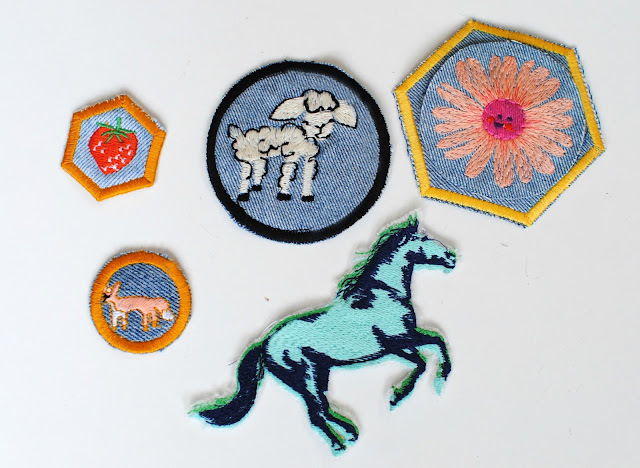 They remind me of the old school Girl Scout patches I use to get as a child. I made a patch representing each of my boys. The Mustang horse was coincidentally perfect as this is my sons’ school mascot: The Monarch Mustangs. I went with the “Louie” the lamb, “Vinny” the fox, and J the sheers as he’s my little artist… I couldn’t resist the strawberry and happy daisy for momma! 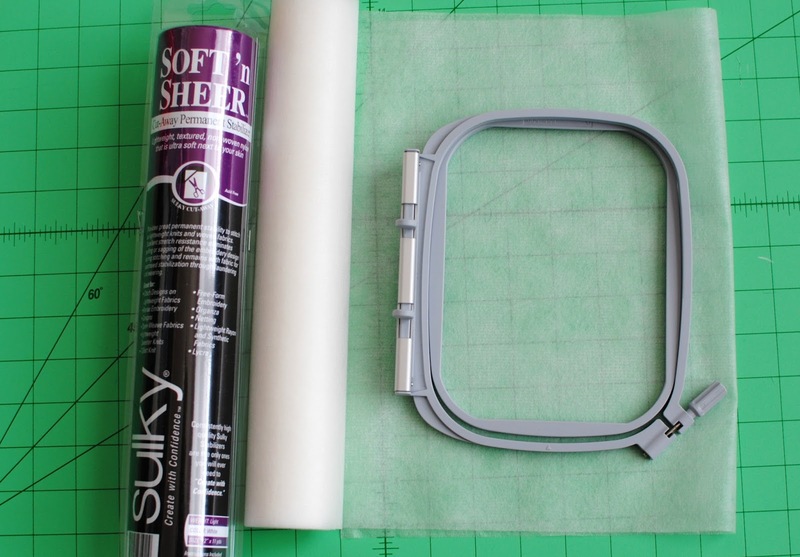 I used 2 layers of Sulky's Soft 'n Sheer stabilizer. 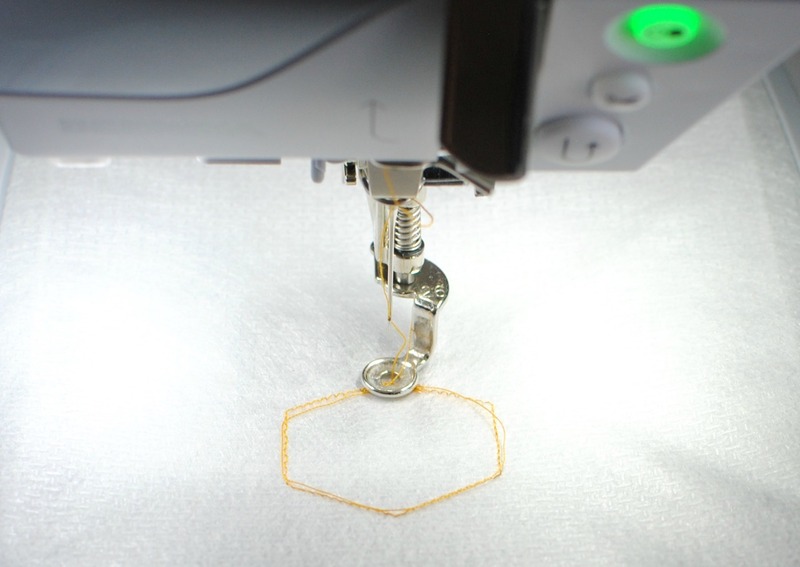 It's perfect for patches as you can embroider directly onto it. I also suggest their Fabri-Solvy stabilizer, it's a temporary fabric-like water soluble stabilizer that easily washes away so you won't have a hint of stabilizer left over along the edges of the patch. 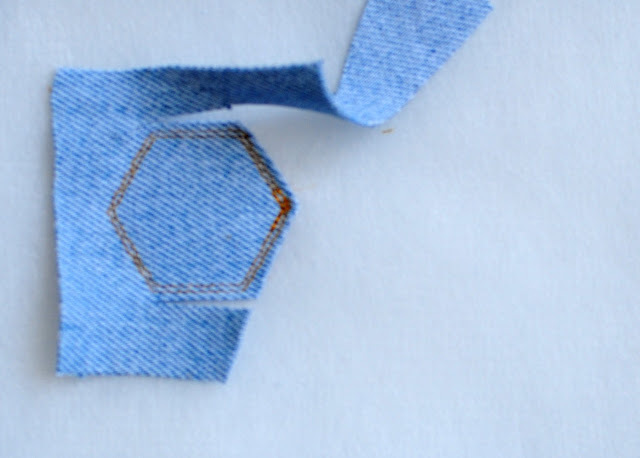 For the patch outline I followed the steps on the directions. Begin by creating the first outline of the patch. Then you will cover the existing outline with fabric. I chose denim because I'm using it on my jean jacket, but you can have fun with different printed fabrics. 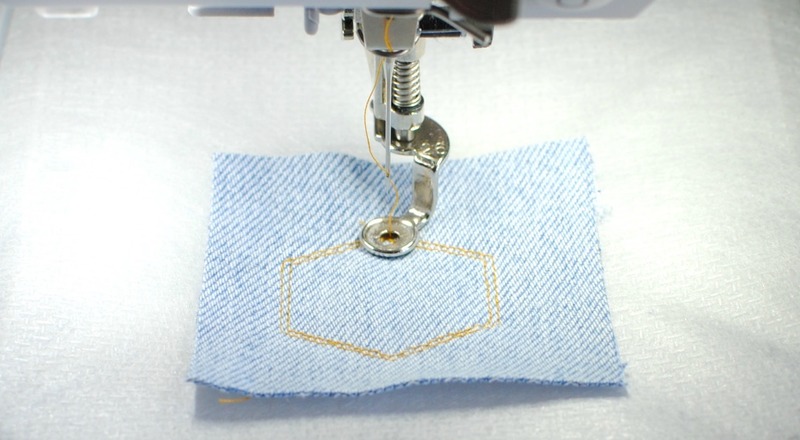 Once the second set of stitches is done, you will remove the excess fabric as close to the stitch outline as you can. Then proceed to finish the patch border. I positioned the embroidery designs to go directly in the middle of the patch which my BERNINA 560E makes this simple to do. Check out the thread collection here! This is AMAZING! Though I'm not sure that I can make it! Fantastic ideas! Looking forward to trying ALL these great ideas. Thank you!